Elton John, born Reginald Kenneth Dwight born on March 25, 1947, in Pinner, Middlesex, United Kingdom is a British singer, songwriter and pianist. * "Bennie and the Jets," 1974. * "Don't Go Breaking My Heart," 1976. * "I Guess That's Why They Call It The Blues," 1983. * "Sad Songs (Say So Much)," 1984. * (With Dionne Warwick, Stevie Wonder, and Gladys Knight) "That's What Friends Are For," 1985. * "Candle In The Wind," 1987. * "I Don't Wanna Go On With You Like That," 1988. * "Candle In The Wind 1997" (a tribute to Diana, Princess of Wales), 1997. * Empty Sky, MCA/DAM, 1969. * Elton John, MCA, 1970. * Tumbleweed Connection, MCA/DAM, 1970. * Madman across the Water, MCA, 1971. * Honky Chateau, MCA/DAM, 1972. * Don't Shoot Me, I'm Only the Piano Player, MCA, 1973. * Goodbye Yellow Brick Road, MCA/DAM, 1973. * Captain Fantastic and the Brown Dirt Cowboy, MCA/DAM, 1974. * Greatest Hits, Polydor, 1974. * Rock of the Westies, MCA, 1975. * Here and There, MCA, 1976. * Blue Moves, MCA, 1976. * Greatest Hits 2, MCA, 1977. * A Single Man, MCA, 1978. * Victim of Love, MCA, 1979. * Live Collection, Pickwick, 1979. * 21 at 33, MCA, 1980. * The Fox, Geffen, 1981. * Jump Up!, Geffen, 1982. * Too Low for Zero, Geffen, 1983. * Breaking Hearts, Geffen, 1983. * Ice on Fire, Geffen, 1983. * Leather Jackets, Geffen, 1985; reissued, 1987. * Your Songs, MCA, 1986. * Greatest Hits 3, Geffen, 1987. * Live in Australia, MCA, 1987. * Reg Strikes Back, MCA, 1988. * Sleeping with the Past, MCA, 1989. * The Complete Thom Bell Sessions, MCA, 1989. * To Be Continued..., MCA, 1990. * Greatest Hits, 1976-1986, Geffen, 1992. * Rare Masters, Polygram, 1992. * The One, MCA, 1992. * (Contributor) The Lion King (soundtrack), Disney, 1995. * Made in England, Rocket/Island, 1995. * Love Songs, Rocket, 1996. * The Big Picture, Rocket, 1997. * The Muse, Polygram, 1999. * Songs from the West Coast, Universal, 2001. * Peachtree Road, Universal, 2004. 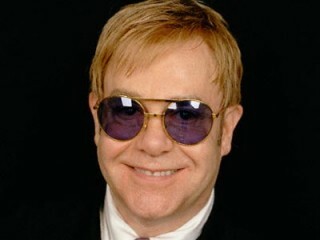 View the full website biography of Elton John.